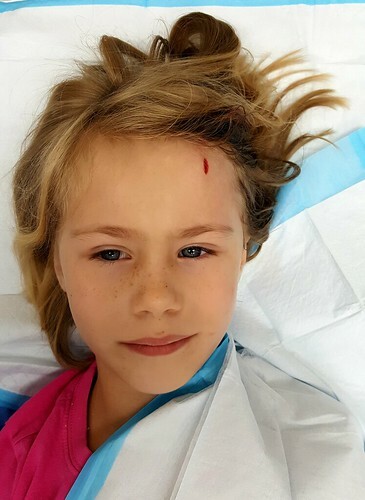 One morning as I was taking the kids to school, Amalie ran into a car door. She was crying, there was quite a bit of blood, but I couldn't see how deep the cut was. I decided to take her to the emergency room. However, I remembered that a hospital emergency room is an expensive option in the US so instead I took her to a clinic. They were nice at the clinic where they cleaned Amalie's cut, glued it and secured it with some steristrips. It took less than an hour (including time spent signing papers). Later I called the clinic to ask for the bill which they sent via email: $3,600. Our health insurance covers some of it. We had to pay $1,930.